*These are approximate prices in US dollars including surgeon fee, anesthesia, facility, and they are subject to change according to personalized estimate. Other costs associated with your surgery are Medications, Surgical Garments, Medical Lab Tests. *These prices are in US dollars and they are subject to change according to personalized estimate. Registration is at 12 pm before that we do store luggage. Check out time is 11 am on the day of departure the checkout time is no longer than 11 am if the patient does not leave the room in the scheduled time the day will be charged for the full day(only if available). Visiting hours: Monday true Friday 12 pm to 6 pm and Saturdays 12 to 4 pm no children allowed in the building. We understand that many times people don’t continue with their plans for plastic surgery due to the cost. We would like to help you make your plans for plastic surgery a reality. 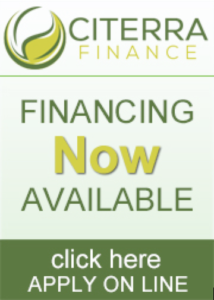 Travel money can be financed by Citerra Finance as well.